Weigh Scale Labels - Plain & Printed Scale Labels | Danro We Know Labels! Weigh Scale Labels are produced on out MPS 8 colour flexographic labels press or our EFI Jetrion digial label press with laser cutting. Our plain scale labels are manufactured on our Daco Solutions range of rotary die cutters with turret rewinding. Whether you need plain weigh scale labels, or printed weigh scale labels, Danro Labels is your one-stop-shop-for all your scale label requirements. 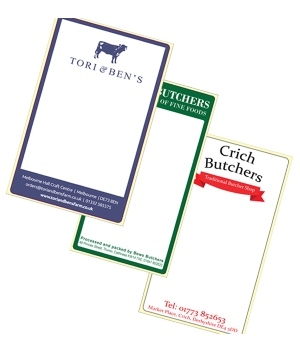 We have been manufacturing scale & butchers labels for over 20 years and scale labels suitable for all of the leading manufacturers of scales. Buy online or for more specific requirements, just call Natalie on 01332 865933 or fill in the form here.